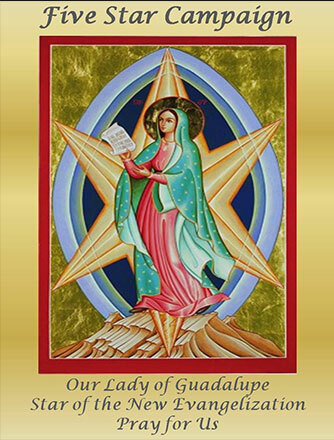 We welcome you to the webpage of Mother of Divine Mercy, Hartford County, Connecticut. These are exciting times that we live in and Magnificat was begun in 1981 for such a time as this. There are now over 100 chapters throughout the United States and its territories and in many foreign countries. Doors open at 8:30am. We do not assign seats so arrive early. Mrs. Anne Costa is a wife, mother, proud grandmother and author of six books with another on the way in the Fall of 2019. She is filled with the fire of the Holy Spirit to encourage, inspire and evangelize faithful, fallen away and yet to be Catholics. 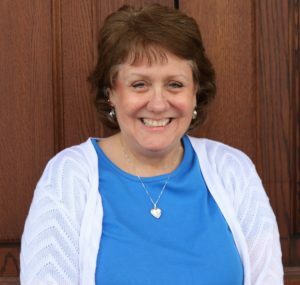 Anne has experienced the healing power of God’s love to overcome an abusive and addicted past. She is a licensed master social worker, retreat leader and the founder of REVIVE Hope and Healing Ministries. Click on, print and complete the form below (include the names and phone numbers of other ticket holders in your group). Reservations CANNOT be accepted after April 8, 2019. Please click on this link to download and print a PDF for mailing in your registration. To purchase your ticket online, please fill in your name and phone number in the blanks below and then click on Pay Now button below and then submit your payment information. PLEASE NOTE: When setting up your donation, if you want a receipt, you must click the box that states, “Share my mailing address with Magnificat”. Remember our chapter’s commitment to Eucharistic Adoration and to pray the Rosary on the 15th of each month for the intentions of Magnificat, the Church, a New Pentecost, Sanctity of Life, Marriage and Family, and World Peace. 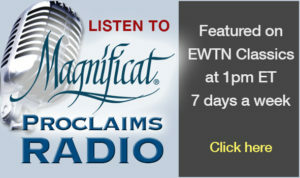 We are in discernment regarding initiating the Magnificat Internet Prayer Ministry. Please contact Gloria Boisvert at 860-584-8803. For more information about Magnificat, contact Janet Massa at 860-302-1349. Mother of Divine Mercy Magnificat Chapter was established October 1, 2005 on the Feast Day of the Blessed Mother and the Holy Rosary. It was licensed officially a chapter by the State of Connecticut on October 1, 2005. The first breakfast was held on October 7, 2006, the Feast Day of the Blessed Mother and the Holy Rosary at the Clarion Hotel, now known as the DoubleTree by Hilton Hotel. Gloria (Brophy) Boisvert is the Foundress of this chapter. Mother of Divine Mercy Chapter held its last breakfast on July 14, 2018 at the DoubleTree by Hilton Hotel in Bristol, CT.